Indie Retro News: Formula 1 Grand Prix - Amiga racer free to play on PC & Mac! Formula 1 Grand Prix - Amiga racer free to play on PC & Mac! 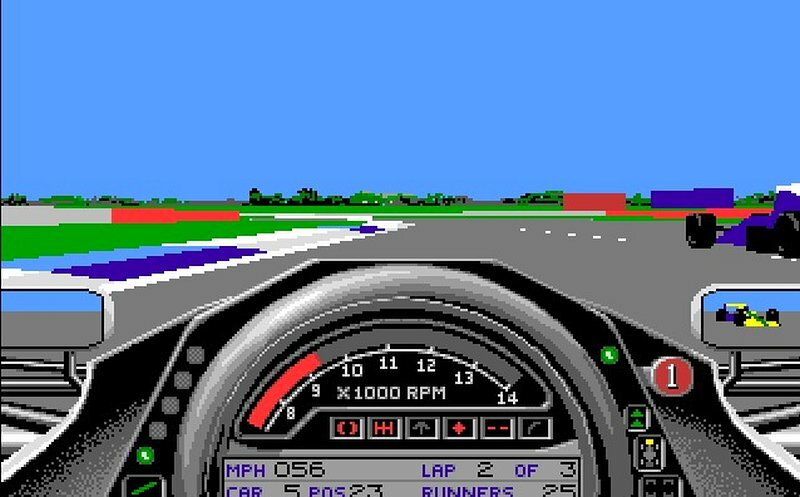 Gamesnostalgia has been very busy lately bundling old retro games up in a neat little playable PC and MAC package, but one of those games of interest was the 1992 Amiga racing simulator ' Formula 1 Grand Prix ' by Microprose. Although I was never a racing fan, spending most of my time crashing into everything and doing replays, this was an overall decent game noted for its 3D graphics, attention to detail and the ability to edit teams and drivers. Now thanks to Gamesnostalgia this game is once again playable on more modern systems, pre-configured using FS-UAE. It's hard to believe that I have two copies of this game as an original, but the problem is both of them have not been looked after by previous owners. Amiga games and damp do not go well together, and I'll not be trying the disks out any time soon. Still though, I could always play the game via my Hard Drive install, but it just doesn't feel the same! - All Amiga games come pre-configured with FS-UAE and may contain rom files, so we will not host these files here.